Valentine’s Day is knocking our doors and different people of different countries will celebrate this day in different ways. 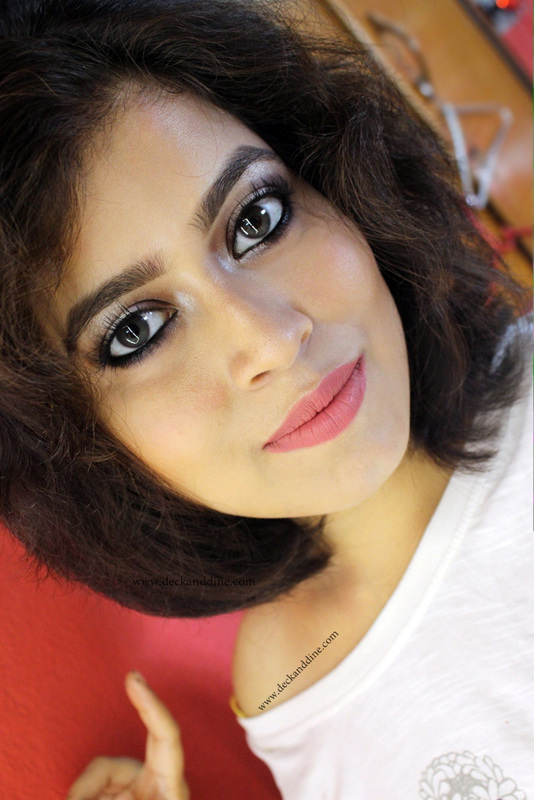 I am celebrating the valentine’s week doing what I love, either I am trying out different makeup looks to rock this day of love, or I am trying out different nail arts. I have used a red and a white nail polish and a white polish to do the nail art. You can also add a top coat to give a glossy look. I skipped the top coat because the red nail polish I used gets smeared whenever it comes in contact with the top coat. This doesn't happen with any other shades. Anyway, you’ll also need a toothpick too. You have to paint your nails alternatively with red and white. Start doing one nail at a time. I started painting my thumb nail with white nail polish. Add layers. You don’t have to wait in between layers. You need your nail polish to be wet in this nail art. 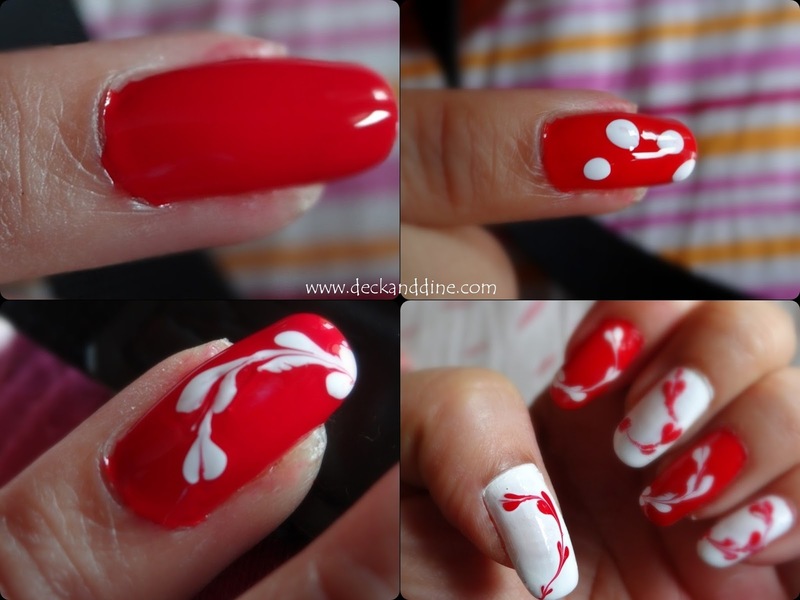 Apply 3-4 dots of red polish back and forth on your nails while the white is still pretty wet. Take a toothpick and drag the red dots from middle. You have to do everything fast, don’t let the polish dry. And that’s it. You have pretty, abstract looking hearts in a minute. Now do the same with other nails too. Or you can alternate colors like I have done. Let the nail art dry completely and then add a top coat. So, that’s it. It is very simple and looks super pretty. You can also play around with colors of your choice. But as this was my Valentine’s Day special nail art, I chose to stick to red and white. Super cute and will try surely. Its super easy too. Omg...superb!!! Jst fantastic babes!! Gonna dn it soon by u..hehe..simply awsum! !